I remember the first time I saw a Neva Opet bag. It was in a little boutique on Hawthorne in Portland, OR. I remember thinking that the leather was so soft and malleable. 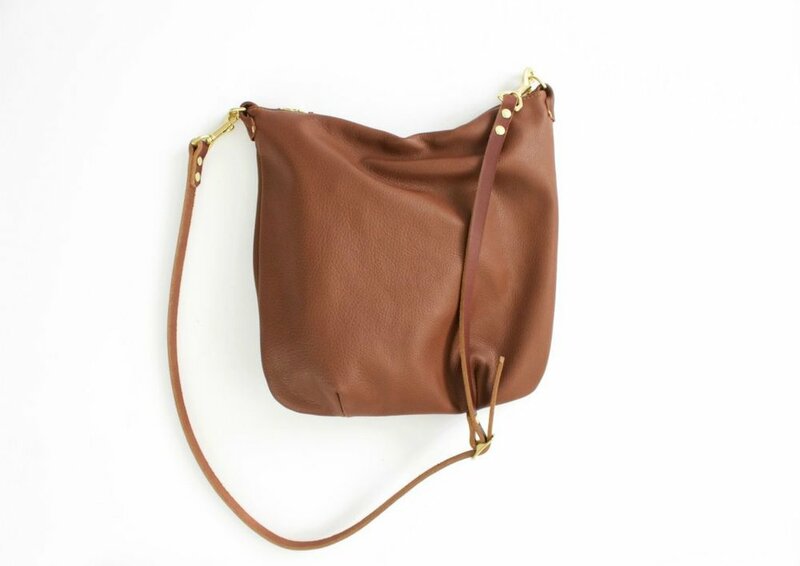 The bag I was specifically swooning over was the Kara Hobo. 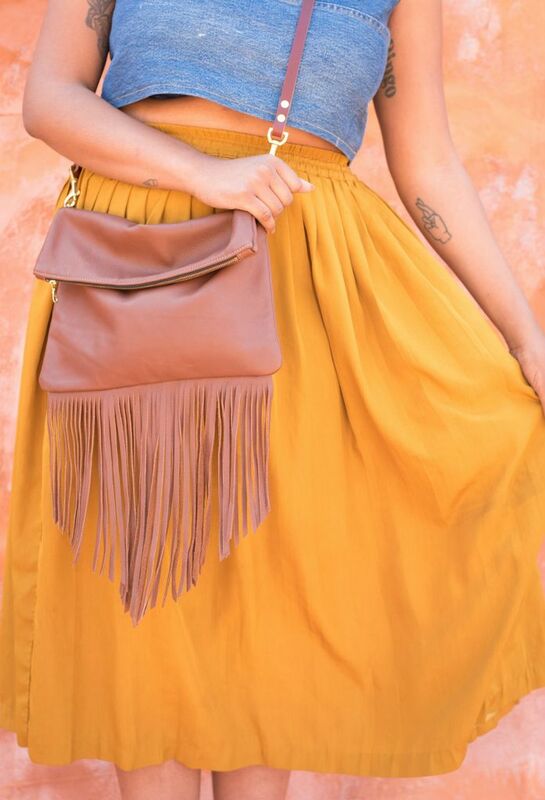 Since my mind is constantly playing with contrasts I immediately thought that this bag would look amazing with my structured wide leg pants and a simple plain lines crop top. I didn’t bring it home but it has been in the back of my mind sense. When I went to dig into the brand to learn more I was pleasantly surprised to find that they are located in Atlanta, GA - my hometown! It is rare that I come across a brand that is from my neck of the woods but I was pleasantly surprised to find one while browsing a shop thousands of miles away. So today I wanted to officially introduce Neva Opet to all of you. Scroll on down to see an interview I conducted with Rachel and get to know a little bit more about this brand and what drives Rachel in her business and life! Where/how did you first learn to make handbags? I've been sewing since the age of 14. I taught myself how when I desperately needed to sew all my cool band patches on my denim jacket. From there, I was hooked. I learned to create clothing from taking apart thrift store finds and figuring out how to pattern a skirt or a pair of pants. After college, I had a pretty unfulfilling job so I started creating things as a way to help clear my mind. After searching for years for a handbag that was just right-- the "Holy Grail" of bags: not too small, not too big, and sans logos--I thought why not try and make exactly what I want to carry. Like they say, the best ideas are born out of necessity. I picked up some leather at a local craft store just to give it a go and fell in love with the art of leatherworking immediately. I liked the permanence of leather, and (for me) the ease of manipulation. Unlike fabric, once you pierce leather there is no going back. That hole cannot be repaired. It was scary but challenging, and I was hooked. I threw myself into all things leather: I read books, learned the parts of the hide, the process of tanning, everything. As I delved deeper into my new hobby, I knew I needed to upgrade to an industrial sewing machine. From there, everything changed. I could sew through any leather and I quickly started churning out bags. To my total surprise, my side hustle was quickly turning into a full-time business. 2)Where do you draw your inspiration from? I am always guided by the work of contemporary female artists. 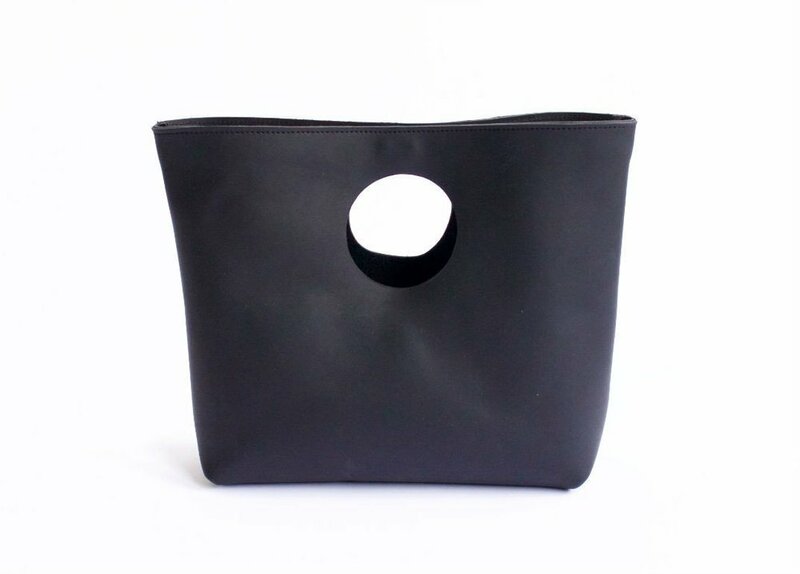 I name each bag after a female artist that has made a particular impression on me (like Eva Hesse, Louise Bourgeoise, and Carolee Schneemann). Once I start creating a bag, I first consider what it will be used for to dictate size and shape. My main style inspirations are simple geometric shapes and bold lines. I believe handbags should last for years and that a great leather bag is a must-have staple. Stains and scratches that come with age and wear, only makes your bag uniquely yours. Of all of your designs which is your favorite and why? What three words would you use to describe Neva Opet? The best part of running my own business is that I have complete creative control. Decisions (good or bad) fall on me and I love it! Looking back, what advice would you give yourself when you were just starting Neva Opet? I am in constant awe of the fact that my hobby morphed into a career. I honestly never imagined or intended to build a business (mostly because the practical side of me told myself that was an unrealistic goal). But, if I could go back I think I would tell myself to relax and go with my gut! It means so much to be to be a part of the handmade movement to create sustainable pieces for women to wear for years. Buy less, buy better! I love seeing so many other talented makers, independent boutiques, and bloggers rally behind the message of getting others to support handmade and local businesses. It is important to me to create things that will not be tossed out season after season or contribute to dangerous working conditions overseas. Those fast fashion brands do a number on our environment. 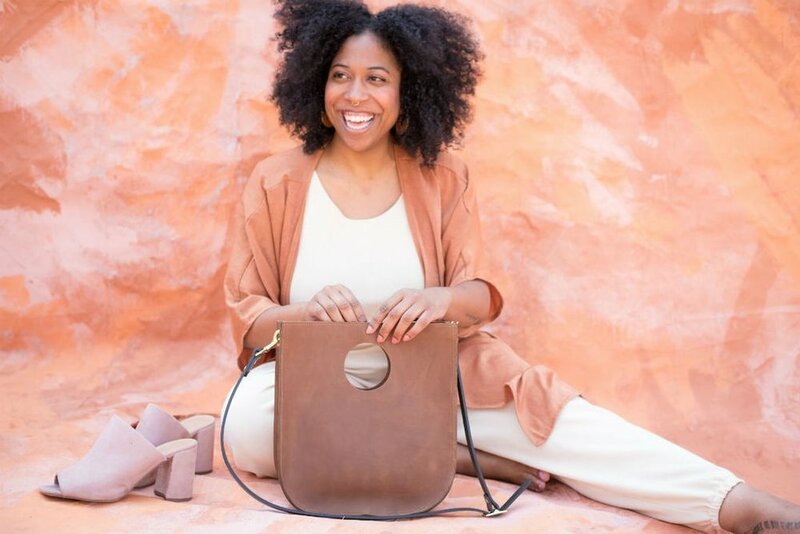 Although slow fashion takes an active practice in patience and budgeting, women can feel great about their purchase knowing exactly who they are supporting and that their products were made with care and excellent craftsmanship.